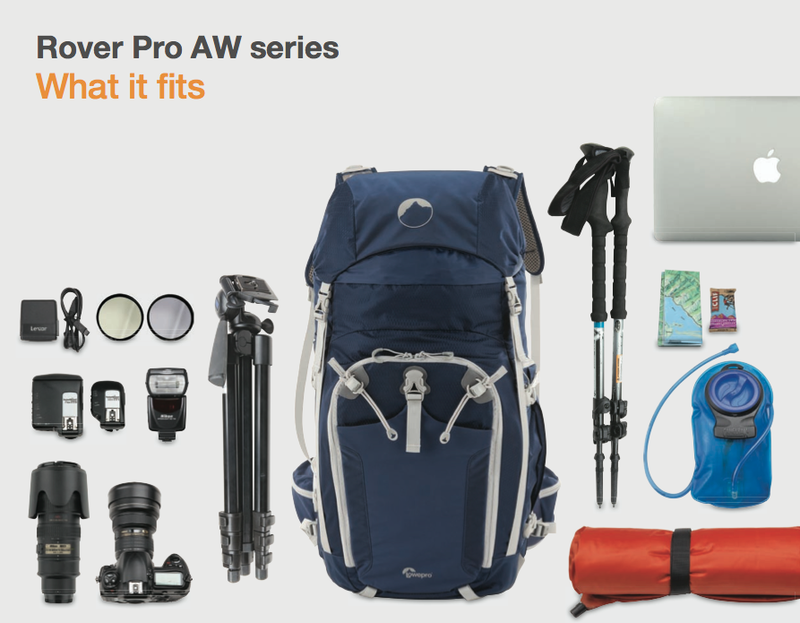 We leaked the photos earlier this afternoon, and not an hour later Lowepro officially announced the Rover Pro AW series bags. 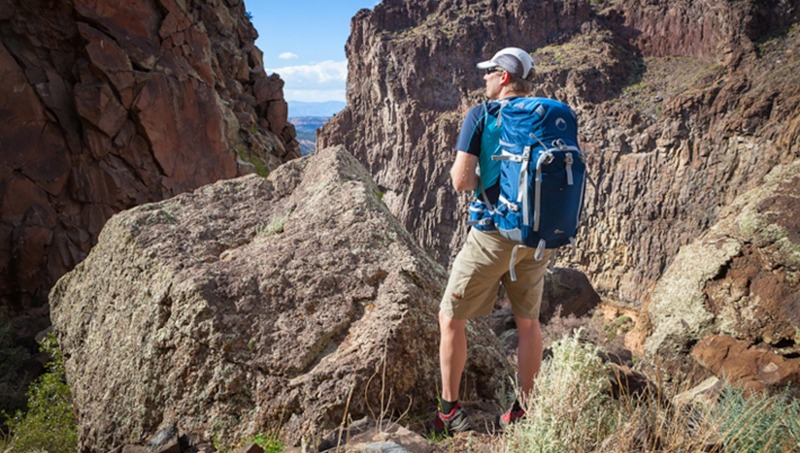 These two lightweight, technical backpacks are built for active outdoor professional and enthusiasts photographers who need a comfortable and supportive way to hike with heavy loads of equipment over long and varied terrain. Travel Photographer Michael Clark has already taken this horse through its paces and given it a clean bill of health. The Rover Pro AW features a trampoline-style suspension system with breathable mesh to provide an optimal load transfer and superior ventilation when trekking with a lot of gear. Adjustable shoulder straps allow a custom fit that accommodates 16 to 19 inch (40 to 48 centimeter) torso lengths as measured from the C4 vertebrae to the top of the iliac crest. 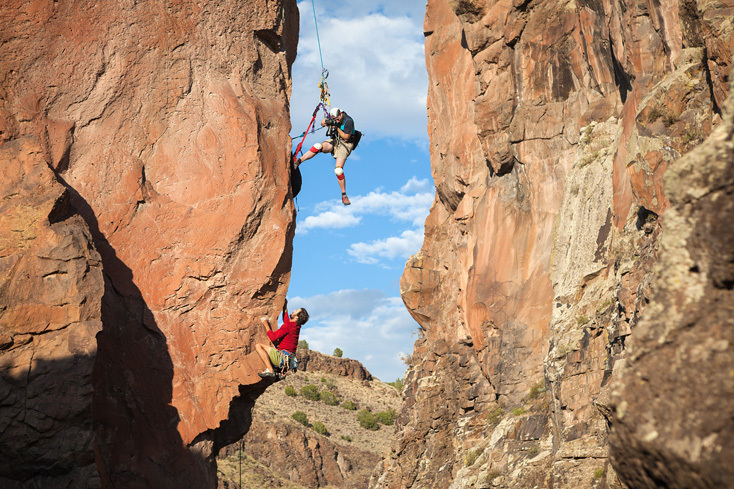 The toploading design offers two-way access to camera and other gear—from the top or the front-hatch opening. Modular camera cases (1 camera case and 1 lens case in 45L model; 1 camera case in 35L model) are placed under the front hatch. 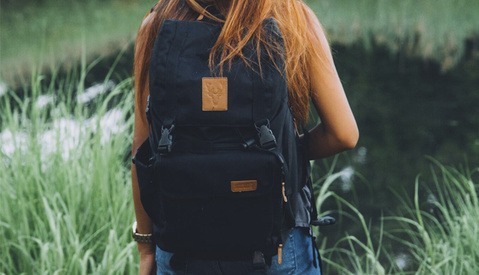 Fully padded and adjustable, they may be removed to convert the bags to fully functional backpacks that provide 45 or 35 liters of volume. The Rover Pro AW comes with a hydration-ready side pocket to accommodate a 2 liter reservoir (not included) and keep liquid within easy reach. 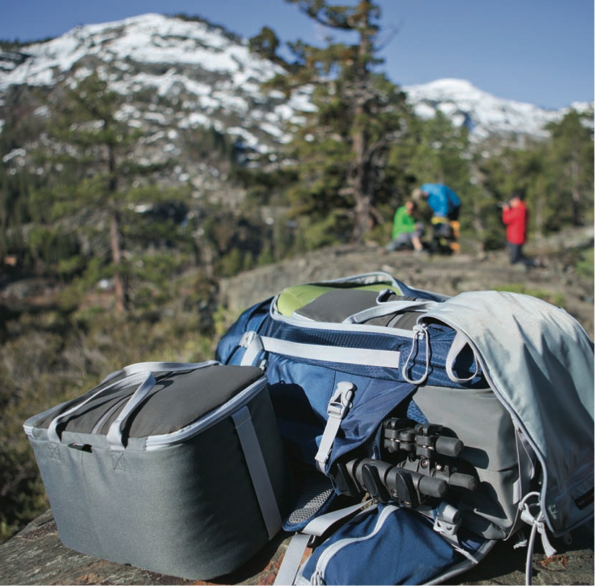 The opposite side of the pack includes a unique tripod attachment system with tarp-like flaps and compression straps to secure gear. 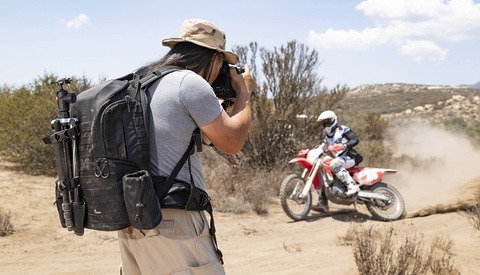 Lowepro’s weather-protective cover gets a design update to accommodate wilderness shooters. The removable cover serves as a moisture barrier with reflector functionality for enhanced visibility and safety. 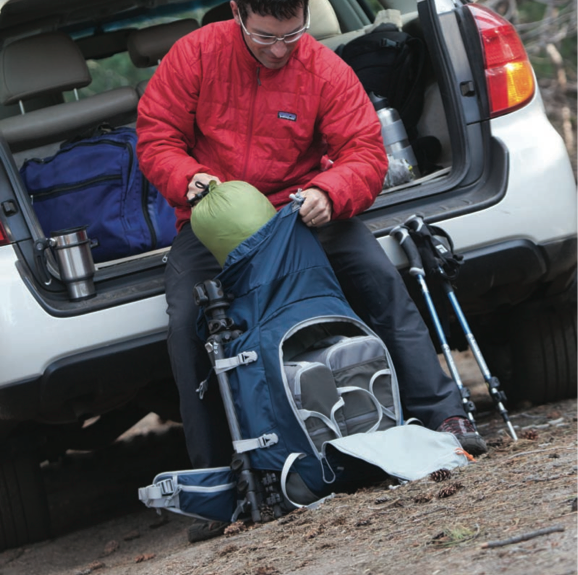 Additional outdoor-friendly details include: ice axe/trekking pole attachment points; attached top lid with zippered storage pocket; stretchy front stash pocket; sleeping pad/small tent straps at bottom of pack; adjustable waistbelt with built-in zippered pockets; compression straps to stabilize gear within pack and streamline the overall profile; plus, a dedicated laptop compartment in 45L model. 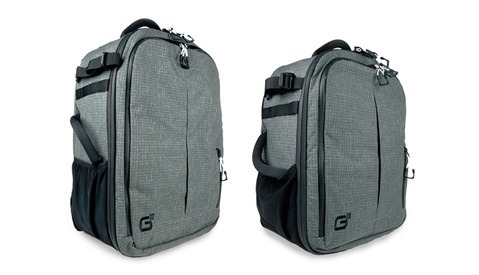 Michael Clark was pretty enamored with the bag, and you should check out his full review to get all the details of how he thought the bag performed (he really does test this thing. I mean, check out the image below). Later this week, we'll post our own review as well. Want more information? You can check out Lowepro.com. Um, how, exactly? About the only thing in common is that they both have two straps and some zippers. This looks like a sweet pack!